Sell-out crowds are again expected at A Christmas Celebration in St Mary’s Cathedral this year, with all of the familiar favourites and also a genuine first. Audiences at the December 15 concerts will witness the premiere of a contemporary Australian carol by celebrated composer and former NSW Supreme Court judge George Palmer, with lyrics by the acclaimed poet, critic and novelist, Kevin Brophy. St Mary’s Cathedral Choir will again be joined by the Orchestra of the Antipodes for the premiere of the piece, alongside performances of traditional carols, including the ever-popular O Holy Night, and music by J S Bach, Handel, John Rutter and others. “There is nothing like the traditional Christmas experience,” Cathedral Director of Music Thomas Wilson told The Catholic Weekly. There are two performance times – one at 11am and the other at 7pm – giving families, seniors and singles the option of whichever time works best for them. At the 7pm performance prominent public figures, including Carla Zampatti, Andrew O’Keefe, and Alan Jones, will read seasonal readings. St Mary’s Cathedral Choir is the oldest musical ensemble in Australia, tracing its origins to 1818. 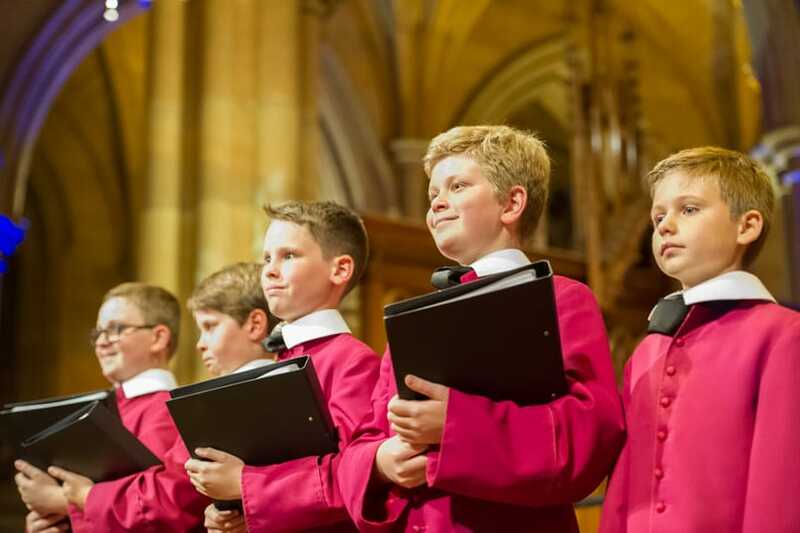 24 boy choristers sing with 12 professional adult singers to make up the Australia’s only fully-professional Cathedral Choir. In addition to providing music for over 500 church services in the Cathedral each year, the Choir has recently given several concert performances to critical acclaim including a performance of Monteverdi’s Vespers earlier this year. In 2018, the Choir has been invited to perform in the International Gregorian Chant Festival in Watou, Belgium, and also to perform for His Holiness, Pope Francis in Rome. For general public, tickets are available from Ticketbooth.